The idea might seem a bit strange, but just think about all those people who live in deserted places and have to make dozens of miles to reach a doctor… when there’s actually one to help them. CoinMD is a platform that gathers doctors from all over the world, who are available to answer to your medical questions or doubts. 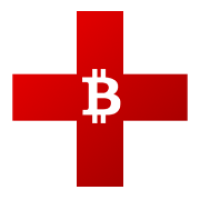 The service is free, but if you feel the provided answer really help you or you just want to reward the doctor there’s the option of donating Bitcoins. While the website is directed to people without access to quality healthcare, especially in third-world countries, anyone can try it. Other groups targeted are also people without health insurance or patients looking for second opinions. But how can you be sure that the platform only deals with real doctors? While the site is anonymous for both users and doctors, the quality of the service will be assured by the fact that all questions and answers are open to the public, so other doctors can review them. Besides, the service is free, so there’s no automatic rewards for people pretending to be health professionais. For now, the platform welcomes all doctors, including interns. But as the number of professionals grows, the service will be “instituting several procedures to verify if newly hired professionals are qualified”.